In a unique case published in the Journal of Clinical Psychopharmacology reported a patient who developed trypophobia reversibly associated with the medication gabapentin. The case is of a 67-year-old woman who was being treated with gabapentin 1800mg/day for paresthesia which had developed 5 years prior without any obvious triggers. While the treatment was effective, it led the patient to develop trypophobia. 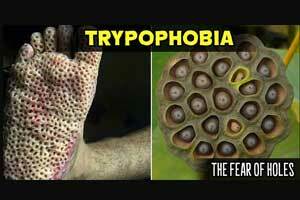 Trypophobia is the term used to describe those who have an irrational fear of clusters of small holes or bumps. People who have it are afraid when looking at surfaces that have small holes gathered close together. The patient had reported fear associated with traffic lights (which led to driving impairment), certain television images (eg, insect eyes), shower heads, and pictures of lotus flowers. To reduce the patient’s dependence on gabapentin and reduce the effect of trypophobia, duloxetine monotherapy was initiated for the patient. During the periods of intake of duloxetine, no signs of trypophobia were found. Consequently, the patient was treated with duloxetine 30mg twice daily with supplemental doses of gabapentin 300mg/day as needed. At this dose, her trypophobia no longer interfered with her daily functioning. As the patient had been treated with duloxetine 40mg 3 times daily, so gabapentin was entirely discontinued, but due to insurance coverage issues, the dose of duloxetine needed to be reduced. On the basis of the Naranjo Adverse Drug Reaction Probability Scale, this adverse event was found to be strongly linked to gabapentin (score of 8). According to the authors, gabapentin is often used off-label to treat anxiety and social phobia, however, in this patient, the effects were found to be paradoxical. In vitro studies have shown that gabapentin binds with high-affinity to the α2δ subunit of voltage-activated calcium channels. The authors concluded that more research is warranted to understand the correlation between gabapentin and trypophobia, as this appears to be the first report of a specific phobia arising as an adverse event of medication. Different specific phobias have been associated with distinct patterns of metabolic activation in the brain. The authors believe that these findings suggest that individual variations in the expression level and distribution of calcium channel subunits could play a role in determining susceptibility to the gabapentin-associated development of specific phobias.